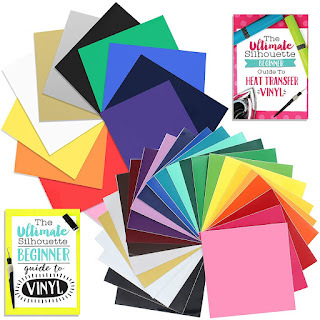 Many Silhouette owners purchase the Curio to use to cut and emboss paper for scrapbooking and card making. To get the most defined emboss on cardstock, the trick is to score first, then emboss...twice. The Silhouette Curio's dual carriage make this two-step processes one. 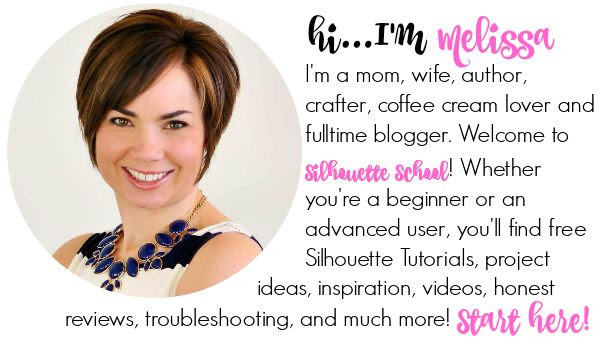 Start by opening Silhouette Studio and opening up your file. 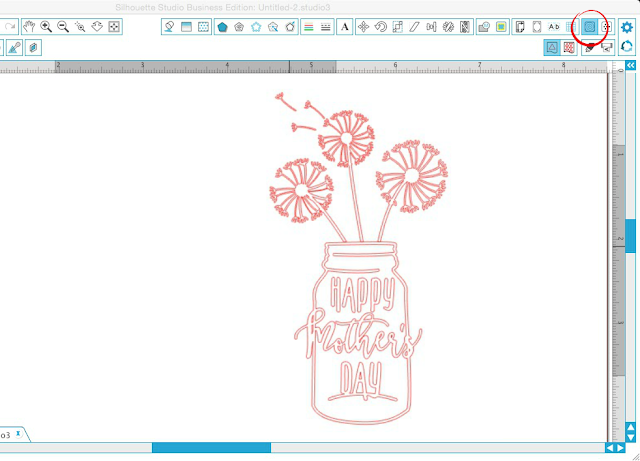 I'm using this Mother's Day Flower design from The Hungry JPEG's Craftalisious 2.0 which was just released last week (more on the awesome bundle in a minute). To start, I downloaded the SVG (pick PNG or DXF if you don't have Silhouette Studio Designer Edition) to my computer. 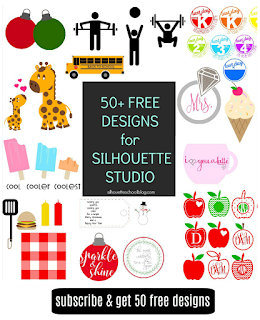 Open up Silhouette Studio and go to File > Open and navigate to the file you just downloaded from The Hungry JPEG bundle. 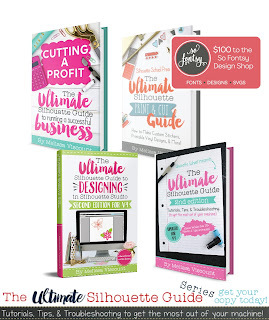 To score and emboss, the design must have two sets of cut line: score lines and emboss lines. Click the Emboss tool icon along the top tool bar. Make sure the USB from the Curio is either plugged into your computer or that the Curio was the last Silhouette machine connected to your computer or the Emboss and Stippling tools will not be accessible. In the Embossing window click “Deboss” at the top. Scroll down the window slightly and click the arrow to the left of "Score & Emboss Options" to open up the full panel. On the Passes bar, up the number to '2' to indicate two passes. Also select "Fine Tip" for the embossing tip - the fine embossing tip provides a more defined emboss. Click 'Apply Score and Emboss Lines'. This will put two (blue) embossing lines around the design and one cut/score line (red) around the design. For this example, I also embossed with just one pass, so you could see the difference in the end result. Here's a close up of how the one pass vs two pass emboss looks in Studio. You can see there are two sets of blue embossing lines in the design on the right which will get two passes. Once your design has both score and emboss lines, click “Adjust Cut Settings.” Clicking it, will open up the Cut Settings Window. 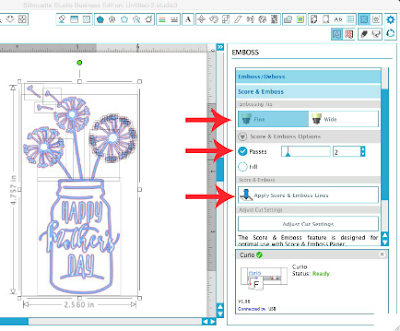 In the Cut Settings Window, Tool 1 (red) should automatically select Scoring and Tool 2 (blue) should be defined as Fine Tip Embossing. Double check that's the case. Scroll down the Cut Settings window to find the recommended platform height. 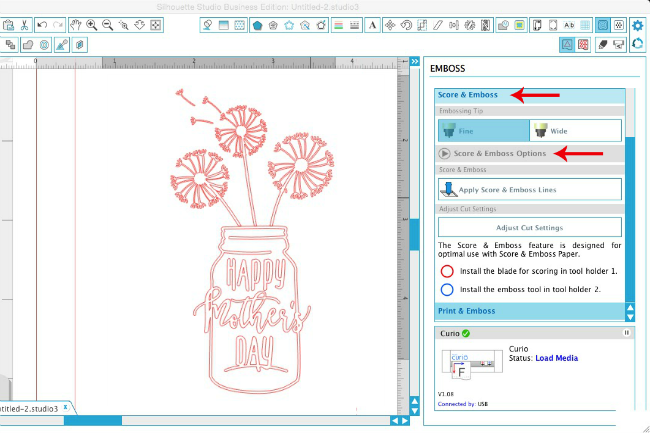 Over on your Silhouette Curio, set the ratchet blade to '0' for embossing using the built in ratchet on the Curio base. 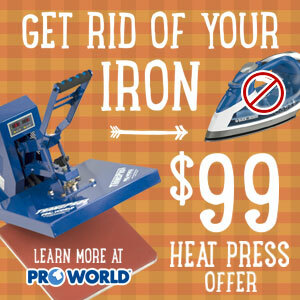 As is suggested in the emboss window, place the cutting blade into the Red housing compartment on the Curio machine and place the fine embossing tip into the blue housing compartment. Lock both into place. Push the platform into the Curio until it is sticking out the back side. 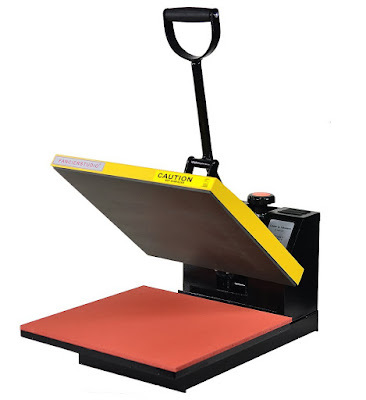 Press the load/unload button and the Curio will automatically adjust the base to the correct starting position. 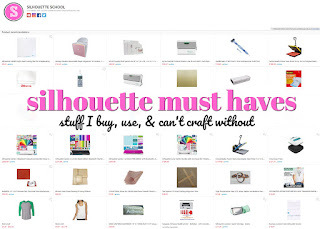 Click "Send to Silhouette" in the Cut Settings window. Scoring and embossing will begin. The design will be scored first. It may appear nothing has happened as the paper will not appear cut most likely. Once scoring is complete, the Curio will reset and begin embossing. When it's finished you can remove the platform, and your design, by pressing the Load/Unload button on the side of the Curio. And to show you just how important both the score and the double pass are when embossing with Curio, I've embossed another design three times. 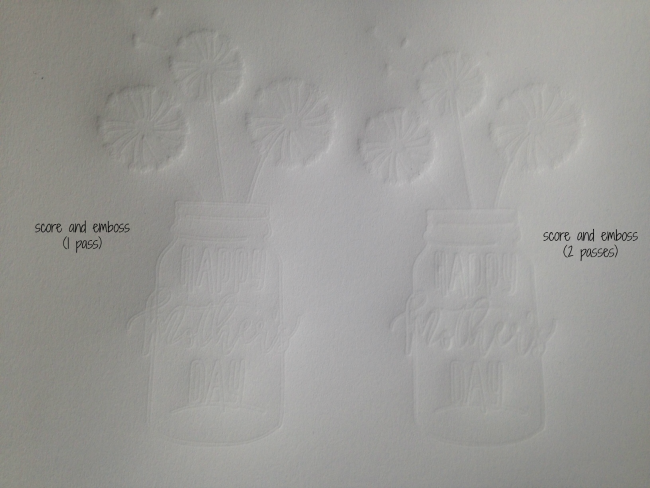 The image on the left is just embossed with the Fine Embossing Tip (no score). The middle is scored once and embossed with a single pass. The third is scored once and given two passes with the embossing tip. You can see it's undeniable the way to get the best emboss with Curio is to score first and make two passes with the fine embossing tip. 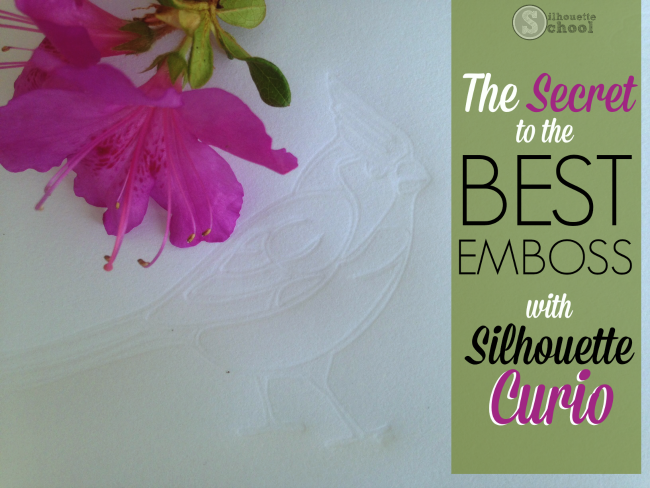 So now you know the secret to getting a better emboss with Silhouette Curio is to actually score and emboss and emboss! Really an important information. I know custom essay writing service for few years. It is an awesome organization they are helping the people for writing works. Outstanding information it is really. My friend has been seeking for this content.